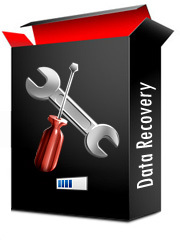 Windows Data Recovery Software recovers all lost deleted data, files and folders from FAT and NTFS file system supported hard disk mass storage drives. Software easily restores accidently deleted formatted photos, pictures, snaps, images, music files and other important data from Windows mass storage devices. Advanced reviving utility provides file restoration in all major undesirable incidents including System failure, Virus corrupted drives and partitions; Accidently erased data, Disk failure, Formatted drives and many other reasons. Program facilitates data recovery after error message including “Boot Disk Failure”, “Disk Read Failure”, “Operating System missing”, “Invalid operating system” when displayed on your computer screen. Hard disk file recovery program supports all hard disk standards that include SATA, ATA, EIDE, IDE and SCSI. Software smoothly runs on all major hard disk brands that include Maxtor, Sony, Samsung, Western Digital, Hitachi, Fujitsu, Toshiba, IBM, Dell etc. Windows data salvage utility has impressive user-friendly graphical interface that helps in easy working of the software without requiring any expert knowledge. The program is best suited for home or professional users who suffer from frequent data loss problems providing an easy, economical and affordable hard disk data recovery solution. Download Windows data recovery software demo, which works with limited functionality to easily examine the software features. Damaged boot sectors (MFT, DBR, MBR). Inaccessible/Formatted hard disk drives or partitions. Data deleted from Recycle bin or pressing Shift+Del key. Image files: png, tiff, 3dm, gif, jpeg, bmp etc. Audio files: mp3, aac, midi, wav, aif, mpa etc. Video files: mpg, 3gp, rm, asf, mov, avi etc. Text files: doc, dot, docx, txt, dvi, dbt, ascii etc. Application support FAT16, FAT32, NTFS, NTFS5 file system. Support all SATA, ATA, EIDE, IDE and SCSI Windows mass storage drives. Software easily works with all major hard disk brands like Toshiba, Maxtor, Hitachi, Samsung, Seagate, Fujitsu, Quantum, Western Digital, HP, Compaq, Connor, DEC, Dell, IBM etc. Highly attractive and user-friendly graphical interface with no technical training needed to operate the software. Cost-effective, professional and prominent utility for all users working on Windows platform.